Randy has a love of boating and the ocean developed during his college years in Santa Barbara, California majoring in Economics and exploring the Channel Islands. His first long distance voyage was delivering the beautiful, teak construction, Sparkman and Stevens designed sloop "Orient" from Los Angeles to Guaymas Mexico for the film "Lucky Lady" starting Gene Hackman, Lisa Minnelli and Burt Reynolds. After a few years working, Randy started a Yacht Brokerage and Dealership in California selling both Power and Sailing Boats, built in the USA and Europe. Randy has spent many years cruising and racing on the Pacific coast competing in all the Mexican races, two Transpacs and one Victoria to Maui race. He moved his family to South Florida 14 years ago and developed as a Yacht Broker traveling to many of the manufacturers in Italy, France and Holland to view new construction and understand the evolution of Yacht Design in larger Motor and Sailing Yachts. In 40 years as a Licensed Yacht Broker, Randy has always gained a great deal of satisfaction from understanding his client's wants and needs. 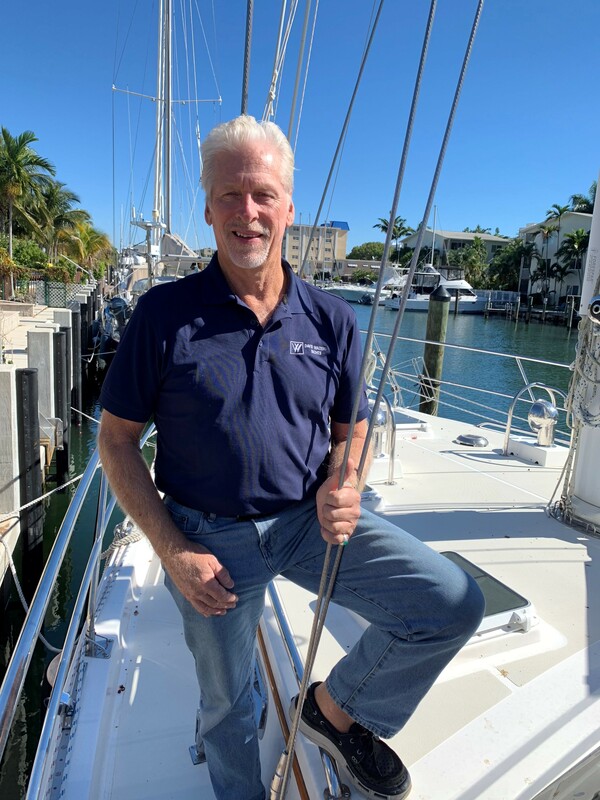 Now based in Palm Beach, Randy enjoys the complete process of listening to the Buyers and Sellers as he continues to provide the best possible service now and in their future buying and selling their boats.